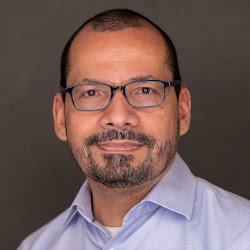 The personal blog of Phillip L. Velez, a Latino writer engaged in social media. I was invited to the Puerto Rican Heritage Event celebration hosted by the New York City Mayor’s Office. Below are videos and pictures of the event, held at Gracie Mansion in Manhattan. Mayor Bill de Blasio gave a passionate speech about the plight of Puerto Rico. Honorees included Olympic Gold Medalist Laurie Hernandez and actress Lauren Velez. Mayor de Blasio speaking about the problem in Puerto Rico. He was quite passionate, moving, and made some very important points. City Council Speaker and the Mayor present Olympic Medalist Laurie Hernandez with a Proclamation. Actress Lauren Velez accepts her Proclamation from Mayor de Blasio. NYC Mayor Bill de Blasio speaking at the Puerto Rican Heritage Event at Gracie Mansion. NYC Council Speaker Melissa Mark-Viverito at the Mayor’s Office Puerto Rican Heritage Event at Gracie Mansion. Actress Lauren Velez is presented with a Proclamation by Mayor Bill de Blasio. Laurie Hernandez accepting a Proclamation from Mayor de Blasio and Speaker Mark-Viverito. Puerto Rican Heritage Event at Gracie Mansion. « If You Hate Hillary or You’re Terrified of Trump, There are Other Options for President. Just Vote on Nov. 8! Copyright © Velez's View - The personal blog of Phillip L. Velez, a Latino writer engaged in social media.